Compassion was at the center of Jesus’ ministry and his mission for his disciples. At no time was his compassion more evident than during his final journey to the cross in the events of Holy Week. We know the events of these seven days changed the world, but it’s good to remember the compassion Jesus had for our pain and brokenness. In all he endured, we see a God who was fully immersed in the condition of being human. On Palm Sunday, Jesus experienced the love and adoration of the people at the height of his popularity, but yet they did not understand the rejection, loneliness and suffering he would experience just a few days later. He drove out the money changers in the temple out of his compassion for the poor and needy. He knew the need for self-care and withdrew for time with close friends and prayer with His heavenly Father. He taught his disciples to be a compassionate presence to one another through foot washing and he demonstrated the real and true presence of his body and blood for our restoration and renewal. He prayed compassionately for his followers in the Garden of Gethsemane. He showed compassion for his betrayer and for those arresting him. And the culmination of Jesus’ compassion for each of us is seen when he chooses the punishment we deserve, even what appears to be separation from God, so that our sin would not separate us from God. And because of Jesus’ death and resurrection, we need not fear death because we know we will forever be in the presence of this amazing God. Be inspired and encouraged to develop the kind of compassion for self and others that motivated Jesus’ life and mission. Sat. at 5:30pm – Palm Sunday worship with children’s palm processional. Sun. at 8:30am, 9:45am, 11am – Palm Sunday worship with children’s palm processional. 5:30pm – Seder Meal; reservations required by April 15. 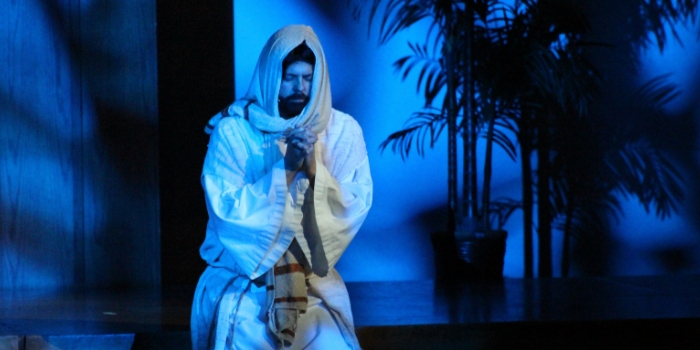 7pm – Worship with Holy Communion and reenactment of the final days of Jesus. 7pm – Worship with Holy Communion and reenactment of the final days of Jesus. This evening worship experience will be streamed live on the Sheridan Lutheran Church Facebook Page on Friday. 5:30pm – Easter Memories worship with Holy Communion. A service of prayer and healing for those who have lost loved ones. 6:45am – Sunrise Worship at the Outdoor Prayer & Reflection Center (by the fire pit). 8am, 9:30am, 11am – Celebration Worship with Holy Communion, overflow seating will be available in the Family Life Center. 7:15-10:45am – Easter Breakfast in the Great Room (proceeds to benefit youth ministry).